The income statement (also known as the profit and loss statement) shows sales, expenses and the income earned after expenses over a given period. 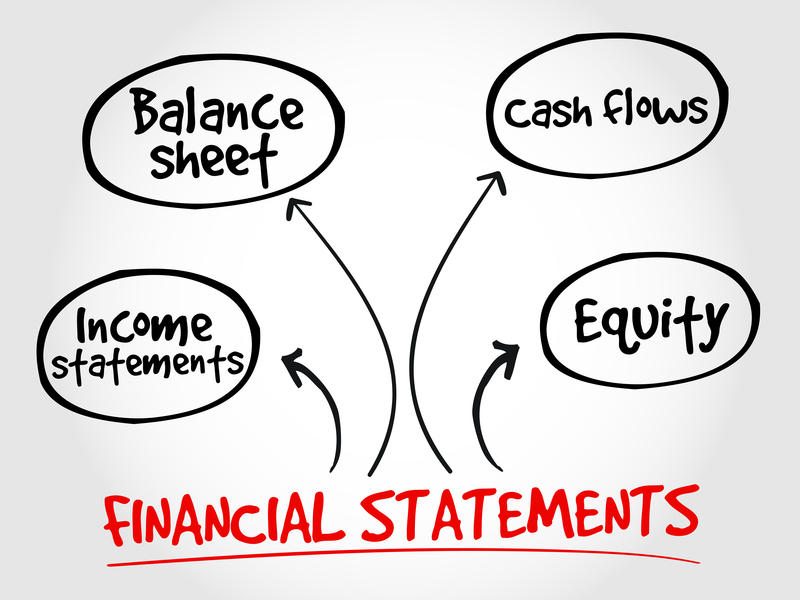 A common term used when discussing income statements is “gross profit,” or the income earned after subtracting the cost of goods sold from revenue. Cost of goods sold includes the cost of labor, materials and overhead required to make a product. Another important term is “net income.” This is the income remaining after all expenses (including taxes) have been paid. This report tallies the company’s assets, liabilities and net worth to create a snapshot of its financial health. Current assets (such as accounts receivable or inventory) are reasonably expected to be converted to cash within a year, while long-term assets (such as plant and equipment) have longer lives. Similarly, current liabilities (such as accounts payable) come due within a year, while long-term liabilities are payment obligations that extend beyond the current year or operating cycle. Net worth or owners’ equity is the extent to which the book value of assets exceeds liabilities. Because the balance sheet must balance, assets must equal liabilities plus net worth. If the value of your liabilities exceeds the value of the assets, your net worth will be negative. Public companies may provide the details of shareholders’ equity in a separate statement called the statement of retained earnings. It details sales or repurchases of stock, dividend payments and changes caused by reported profits or losses. This statement shows all the cash flowing into and out of your company. For example, your company may have cash inflows from selling products or services, borrowing money and selling stock. Outflows may result from paying expenses, investing in capital equipment and repaying debt. Although this report may seem similar to an income statement, it focuses solely on cash. It’s possible for an otherwise profitable business to suffer from cash flow shortages, especially if it’s growing quickly. Typically, cash flows are organized in three categories: operating, investing and financing activities. The bottom of the statement shows the net change in cash during the period. To remain in business, companies must continually generate cash to pay creditors, vendors and employees. So watch your statement of cash flows closely. R&A CPAs provides integrated tax, accounting, assurance and advisory services domestically and internationally. 4542 E Camp Lowell Dr, Ste 100 Tucson, Arizona 85712, 520-881-4900 | Copyright 2019 All Rights Reserved.